Wowww, is it the start of convention season already? We here at Kodansha Comics and Vertical are excited to announce our Spring 2019 convention schedule! And this year we’re partnering with our friends at Animate, who’ll be selling our manga and merch at Spring conventions this year! Here’s the deal. 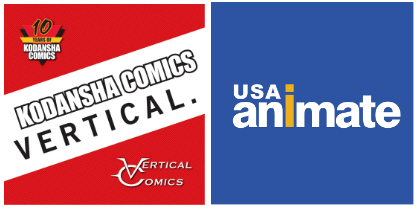 Look for Kodansha Comics-Vertical banner at the Animate booth where you’ll find KC and Vertical merchandise like Sailor Moon Store exclusive items, Pop Team Epic chara dice, poster sets (Attack on Titan, Devil’s Line, Monogatari Series, APOSIMZ), and more! Also don’t forget to sign up for the Kodansha Comics newsletter at the booth—you’ll get an EDENS ZERO pin button set! Sakura Con 2019 x Satoshi Shiki! There’s more! To commemorate manga-ka Satoshi Shiki’s appearance at Sakura Con 2019, any Attack on Titan: Before the Fall manga purchase at the Kinokuniya booth (#905, 907, 909, 911) gets you an exclusive Attack on Titan: Before the Fall art card. 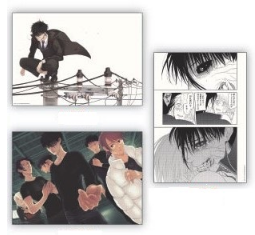 It will be a great souvenir to have signed by Shiki-sensei at his autograph sessions during the weekend! 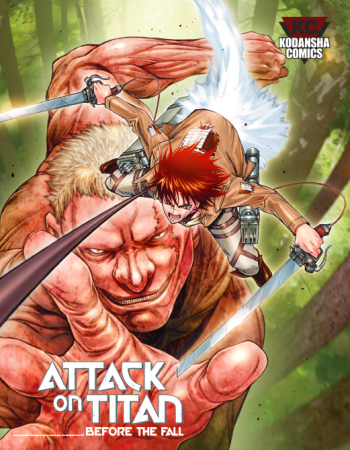 Plus a limited number of prestreet copies of Attack on Titan: Before the Fall Volume 16 will be available as well. 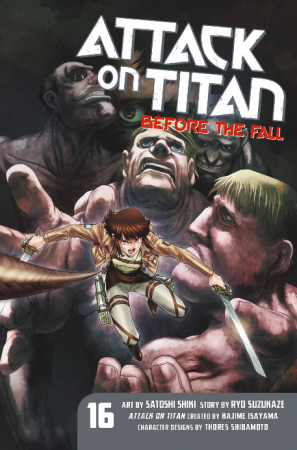 Attack on Titan Before the Fall Volume 16 pre-streets at Sakura Con 2019! *Please note that the above schedule can change at anytime during the event.